Thanks to a dear writing friend, Kate Hodges, I have the opportunity to share in a world blog tour to talk about my writing process. Check out her blog at htttp://katehodges690.wordpress.com when you get a chance. It’s full of amazing stories in the perspective of those touched by Jesus’ miracles. 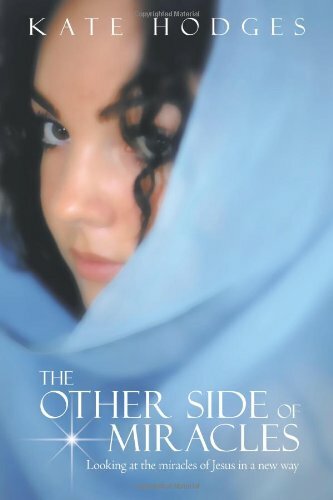 Her book, The Other Side of Miracles, opened my eyes to the reality of life for those handicapped physically and emotionally during Jesus’ day. I’m in the middle of rewriting a manuscript I started about four years ago. It sat on my shelf for quite a long time until I couldn’t ignore the call of God’s voice to pick it up and fix it. I believe that no manuscript of mine should languish on a shelf, never to see light. For this reason, I buckled down and pulled from the depths of my soul and all the knowledge I’d gained over the years to redo this story. Why else would God have given it to me to begin with? So the journey began. I cried, I pleaded for mercy, even hid in every way possible before I broke out my trusty computer for the rewrite (You should see the massive restraint that kept me in my seat so I’d accomplish this monumental task!). And now, it’s oh so close to being completed with the help of an editor. I love to make characters who are unsure of themselves, a little bumbly, yet capable of learning to grow into wonderful people who can stand on their own two feet once they’ve overcome major obstacles. This gives my novels a bit of quirkiness in a fun-loving way. But sometimes I do manage to write serious works too. When God wants you to do something, it’s best to do it. Don’t think I haven’t questioned Him the whole way through this writing journey. Sometimes it’s a daily task. But, I know I’m on the right track for my Savior. I hope to encourage my readers to let go of past hurts and sins, and move forward to the wonderful plan God has for them. I’m one of those plotters who has to make extensive outlines. I have outlines for characters, places, the plot, and anything else pertinent to the storyline. As I work I fill in the plot outline with specific page numbers and details. This has served me well over the years when I have to go back and make changes. I read Writing the Breakout Novel workbook, by Donald Maass, which has been instrumental in transforming my writing. I plan to use it on every novel I write to pick it apart and develop my story to its fullest potential. Thanks for stopping by. Catch Nancy Bolton next Monday, May 19, as this world blog tour continues. She’s an amazing critique partner of mine that I’ve come to appreciate beyond measure. Nancy Bolton is a Christian writer who loves the Lord. Her portfolio includes poetry, song lyrics, short stories, non-fiction and fiction works. Women’s fiction is her latest endeavor, and she writes quite the variety from contemporary and historical romance to fantasy. Above all, she strives to show how God changes human lives in both the huge and tiny ways. Soon to be published in September, The Right Ingredients by Prism Book Group! View her blog at http://boltonnancy.com/ . Amryn Cross is another one of my critique partners who’s allowed me to cross reference her week for the blog tour. Amryn Cross (Amory Cannon) is a writer of Christian romance and suspense as well as young adult. With a blend of dust and shadows, all of her books contain the message of grace and the love of God. Her debut novel, Learning to Die will be released in September 2014 by Desert Breeze Publishing. 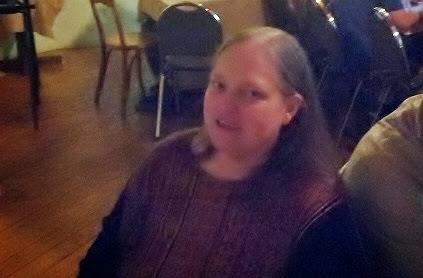 See what she has to say about her writing process at amryncross.com.